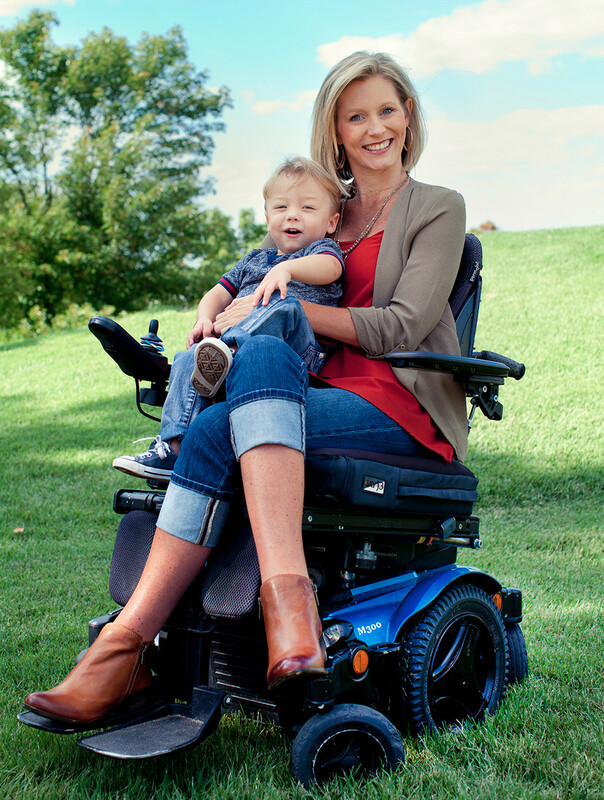 Jennifer Goodwin hasn’t let her wheelchair stop her from accomplishing anything — including becoming a mom and attorney. 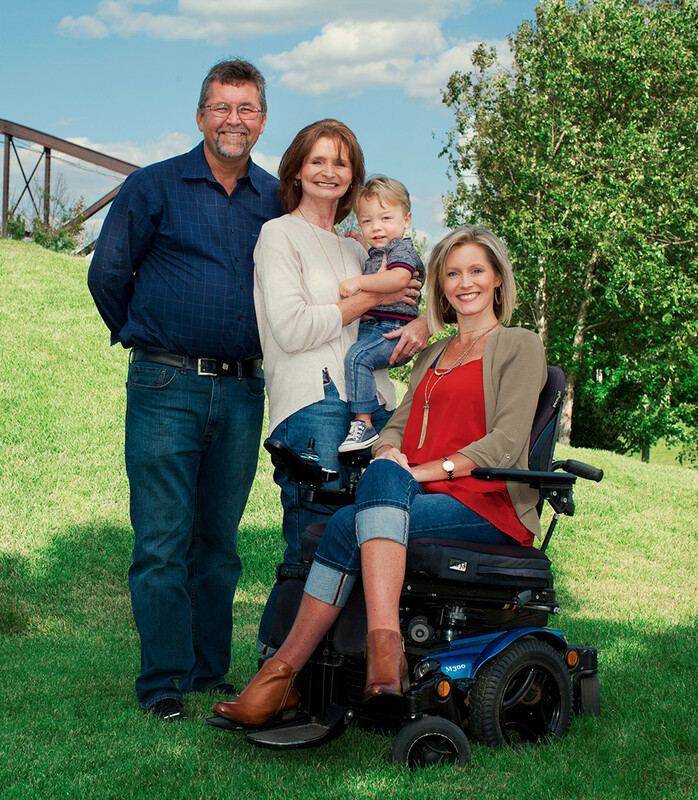 Jennifer Goodwin has overcome every obstacle in her way since a spinal cord injury in 2008 completely changed her life. As she likes to joke, when someone tells her she can’t do something, well, she’s going to do it. 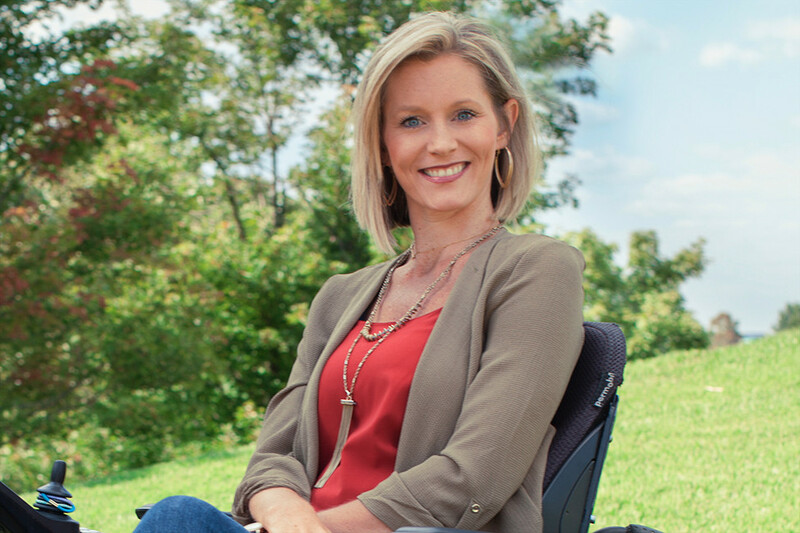 Almost 10 years later, now-34-year-old Goodwin is living independently as a quadriplegic with her 2-year-old son Beckham and is a recent graduate of the University of Arkansas at Little Rock William H. Bowen School of Law. But all of that didn’t happen overnight. Goodwin’s faith, work ethic and radiating positivity have helped shape her life into the inspirational story that it is. In 2008, at 25, Goodwin landed her ideal job as a drug representative based in her home state and then bought her first home in Benton. That perfect picture changed in an instant when Goodwin suffered a spinal cord injury while boating on Lake Hamilton with a neighbor. When she arrived at Saline Memorial Hospital, one of the nurses told Goodwin her neck was broken. She was immediately moved to CHI St. Vincent’s in Little Rock for emergency surgery. Goodwin’s doctor didn’t expect her to regain feeling in her legs, but after the surgery he squeezed her toe as he passed by her hospital bed. Goodwin felt it. After more tests, she was diagnosed as a C5 and C6 incomplete quadriplegic. During the first year after her injury, she spent two months in the hospital and another four months in inpatient rehabilitation. Goodwin worked on simple functions such as brushing her teeth and hair, doing her makeup and learning how to feed herself. In 2010, Goodwin joined an intensive, six-month rehabilitative therapy trial at the Shepherd Center in Atlanta, which specializes in spinal cord and brain injury rehabilitation. While at the center, Goodwin focused her time on building muscle strength and teaching her body how to walk again. When she got back home to Arkansas, Goodwin bought an accessible vehicle and had it converted to fit her needs. Goodwin and her mom researched accessible living and decided to build her house around her parent’s detached garage so it could be perfectly suited to Goodwin’s needs. Jennifer Goodwin lives next door to her parents, who have provided an essential support system for her. Going back to school seemed less daunting than going straight into a new job, so Goodwin toyed with the idea of law school. After some encouragement from her mom, she bought a few books and signed up for the LSAT. Goodwin, then 30, received a full-ride scholarship to University of Arkansas at Little Rock William H. Bowen School of Law and started in 2013. Halfway through law school, Goodwin began to feel the pull of baby fever. At 32, she was single, but desperately wanted to be a mom. She had looked into adoption and surrogacy, but those options didn’t feel right. Later on, Goodwin’s mom mentioned to one of her doctors that Jen wanted a baby more than anything. Her doctor was on board immediately and the plan was put in motion. After setting up an appointment with the Arkansas Fertility & Gynecology Associates, Goodwin went to a Cryobank to choose an anonymous donor. Goodwin wrestled with the decision for a few months, finally purchasing three vials knowing that it takes women an average of five tries to become pregnant. But after the second try, there were two clear pink lines on the pregnancy test. During her pregnancy, Goodwin and her doctors were aware of a condition called autonomic dysreflexia, which can cause a quadriplegic person’s body to respond to pain even if he or she doesn’t feel it, which can then lead to blood pressure spiking to the point of a stroke. Despite the uncertainties surrounding her pregnancy, Goodwin had a smooth delivery. Baby Beckham was born in June 2015 at the same hospital his mother was taken right after her accident — this time for a much happier occasion. Beckham was born premature at 34 weeks, but after a week in the Baptist Health NICU, he was able to go home. "It was exhausting, but that’s how it is for everyone,” Goodwin said, thinking back on her time as a new mom. “I took the fall semester off that year from school so that I could focus on being a mom. I was really amazed at all the things I could do with him. Holding other people’s children, I never felt fully comfortable. It’s totally different when it’s yours." Before Beckham was born, Goodwin prepared as well as she could to be independent, but even now she likes having the comfort of another person around when she goes out. "Beforehand … we bought one of those real weighted babies and I practiced. The main thing I wanted to work on was lifting and getting the car seat in and out of the car,” Goodwin said. “Of course, it’s totally different with a wiggling, screaming little baby … I still haven’t gone places totally on my own, I usually want to meet someone else." Today, Goodwin is a mother to 2-year-old Beckham, a law school graduate and attorney, having passed the bar exam this summer. In September, she began an Equal Justice Works fellowship sponsored by Walmart and Akin Gump Strauss & Feld LLP with Legal Aid of Arkansas at the Arkansas Children's Hospital Medical-Legal Partnership. While working there, she will represent patients and their families through any legal issues they may face. At 34, Goodwin has carved a whole new life for herself, and in the process has become an inspiration to many. Now a mother, a lawyer and an advocate for others who have had similar experiences, Goodwin leads an incredible life — and one that she likely never imagined.